It’s usually a tough task getting specific information when you’re referencing to an audio file that was recorded after a broadcast, interview, phone call or meeting. Simple audio to text transcription may allow you some easy access to this information through high value and searchable documents. You require a software audio to text converter for your recordings so that you may read, organize, archive as well as search the information for later use. You have just ended some long meeting with a potential customer. During this meeting, you recorded a conversation that you need to reference later. You start working the designs for your client. However, you are unable to recall the particular details that you discussed during that meeting. Instead of going back, and listening through the hours of audio for the sentence during which you went through the details, you decide in having the audio converted to text through some transcription service. The audio to text transcription service will provide you with readable document which lets you easily search for those missing details. And instead of exchanging countless emails or searching through the audio file trying to recall exactly what the customer needed during your meeting, you’re able to accurately complete the project and your clients are going to be satisfied with your work. Converting audio to text is more than a mere quick reference for a particular project. It’s all to do with saving you money and time which you could be better off spending on productivity as opposed to wasting your time in listening to audio recordings, or trying yourself to transcribe the document. There are several services which provide audio transcription. They do not come cheap. There are various audio to text transcription software, but they normally need you to transcribe files to a particular format. However, most of the files sometimes fail to transcribe. But the following simple steps may guarantee you 90 percent success. · On the link, you are going to discover the only input there is your mic. When you try running any type of file in the background, it will not convert into text. Therefore, you should try making a virtual link between the mic and the speakers. In order to perform this task, you’ll require the second software found on the list. 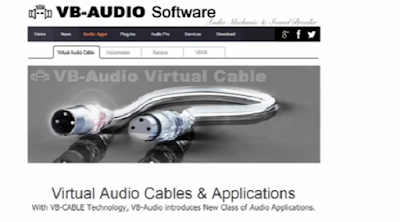 The software connects virtually the speaker output to the mic output. Download and then install the software ( trial version as of the administrator). There you are! The site now thinks that your speaker's audio output is the mic input. You should test this through running the file, and- clicking Google Speech API-the mic button. When utilizing this trial version of the software, it says randomly “trial” each and every time. However, Google ignores it and begins translating. (This is perfect!). Again, there you go! You’re now set to transcribe any type audio to text. Quite simple, is it? And the other good thing: Google is going to let you email this to any person! · After completing transcription, it’s now time setting everything back to normal. In order to perform this, you should return to control panel, opening Sound in both the recording and playback tab. Choose your default speakers as well as mic (the one having “ready” below it,clicking on Set Default. · For precise transcription services, you should also try using https: // speech to text service.com providing free trial so that you may familiarize yourself with quality of the services. This you’ll do without paying anything for the service. Note that when asked if there is an audio to text converter which is 100 percent perfect, all people say that they have not found one. It’s impossible, for instance, to get a 100 percent accurate transcription for: I’m meeting Barrack Obama at twenty will you come too? OnToplist Analytics is brought to you by &amp;amp;amp;amp;amp;amp;amp;amp;amp;amp;amp;amp;amp;amp;amp;amp;amp;amp;lt;a href="http://www.zarabiaj.pl/"&amp;amp;amp;amp;amp;amp;amp;amp;amp;amp;amp;amp;amp;amp;amp;amp;amp;amp;gt;praca&amp;amp;amp;amp;amp;amp;amp;amp;amp;amp;amp;amp;amp;amp;amp;amp;amp;amp;lt;/a&amp;amp;amp;amp;amp;amp;amp;amp;amp;amp;amp;amp;amp;amp;amp;amp;amp;amp;gt;&amp;amp;amp;amp;amp;amp;amp;amp;amp;amp;amp;amp;amp;amp;amp;amp;amp;amp;lt;br&amp;amp;amp;amp;amp;amp;amp;amp;amp;amp;amp;amp;amp;amp;amp;amp;amp;amp;gt;&amp;amp;amp;amp;amp;amp;amp;amp;amp;amp;amp;amp;amp;amp;amp;amp;amp;amp;lt;a href="http://www.ontoplist.com/join.php" title="add blog"&amp;amp;amp;amp;amp;amp;amp;amp;amp;amp;amp;amp;amp;amp;amp;amp;amp;amp;gt;Add blog&amp;amp;amp;amp;amp;amp;amp;amp;amp;amp;amp;amp;amp;amp;amp;amp;amp;amp;lt;/a&amp;amp;amp;amp;amp;amp;amp;amp;amp;amp;amp;amp;amp;amp;amp;amp;amp;amp;gt; to our directory.